What are health insurance prescriptions? Home / FAQ / What are health insurance prescriptions? Health insurance prescriptions are the prescription medications that are covered under a health insurance plan. The prescriptions that are covered are on a list called a formulary. Each insurance company has their own formulary. Compare health insurance ratesby entering your zip code into the toolbox now! Every insurance company has an established list of prescriptions that are covered under their insurance plan known as a formulary. Learn what to look for in an insurance plan to get the most coverage on your prescription medicines. According to Discovery Health, a formulary is the established list of drugs that the insurance company is willing to contribute a dollar amount towards when the policyholder gets the prescription filled. The dollar amount the health insurance contributes is directly related to the cost of the prescription medicine. This is why certain drugs are on a formulary and others are not. If the prescription is too costly for the insurance company to contribute towards, you will most likely not find it on the list. Another reason an insurance company includes a drug formulary is to try to convince the policyholder to purchase the generic form of a prescription drug. Not only is the generic form of the medication cheaper for the policyholder, but it is cheaper for the insurance company which requires them to not have to contribute as much money towards the prescription purchase. The first section includes the generic drugs, which are the least expensive for both the policyholder and the insurance company. The second section usually includes the name brand drugs, which do not offer a generic form. The third section contains the drugs, which are the most expensive drugs for which the insurance company may not offer any financial assistance. The last section of drugs on the formulary is often on there for reasons other than cost. For instance, drugs sometimes end up on the last section of the formulary, because they are new on the market or have not been approved by the Food and Drug Administration (FDA) yet. Another reason a drug may appear on the third section of a drug formulary is that it is an old drug that is rarely prescribed or has been proven less effective than other prescriptions. What if I need a prescription, but it is not on the formulary or is too expensive? If there is a particular prescription that your doctor recommends but is not on the formulary or is in the third section of the formulary, you may still be able to get the prescription filled. First, you can get it filled and pay for the prescription on your own. Second, you can contact your insurance company to see if they will help financially if it is the only prescription that works for your needs. Next, you can go onto the prescription drug company’s website and see if you can find a discount on their site. 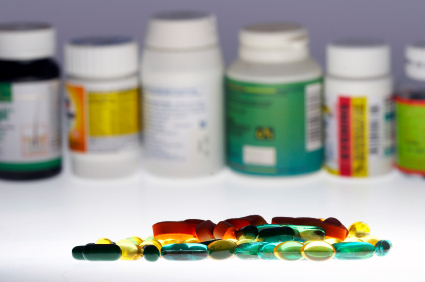 Many prescription companies offer incentives for using their drugs. Lastly, speak to your doctor regarding the prescription, because they often receive samples or discounts on filling a particular drug. Pharmacists also receive discount cards and coupons, so you may also want to ask the pharmacist before filling the prescription. When does a health insurance prescription become generic? A name brand drug becomes generic once the patent has expired which is usually twenty years from the date the patent was issued. However, the generic version must be approved by the FDA before going on the market. How do I get my health insurance prescriptions filled? You usually have two different options in getting your health insurance prescriptions filled. First, you can go to a local pharmacy and pay a co-payment to get the prescription filled. The pharmacy will file the claim without you having to contact your insurance company. The second way you can get a prescription drug filled is through a mail-order pharmacy. Many insurance companies have their own mail-order pharmacy that policyholders can mail in their prescriptions to have them filled. Using the insurance company’s mail order pharmacy can save you time and money. Mail-order pharmacies are usually cheaper than retail pharmacies and you can usually receive 90 days of your prescription medications with one order. Compare health insurance prescription formularies by comparing health insurance quotesnow!